Scholarship from Law Office of Yuriy Moshes, P.C. The Law Office of Yuriy Moshes values higher education. In accordance with the values of Law Office of Yuriy Moshes, P.C., we are proudly offering a scholarship to an undergraduate student who has demonstrated a pattern of commitment, promoting equality, and improving our nation’s communities. Presenting our scholarship to an undergraduate student enables our firm to “pay it forward” and recognize students who share our passions and values. The applicant must be either currently enrolled as an undergraduate student at an accredited university or have been accepted to an accredited undergraduate degree program or law school in the United States. The applicant must be able to provide proof of enrollment or an acceptance letter. If the applicant is currently enrolled, the applicant must also be able to forward a copy of his or her transcripts (unofficial transcripts are acceptable as long as they include identifying information about the student and are taken from the school’s electronic databases). Compose a 500-700-word essay relating to recent workplace sexual harassment scandals reported in the media including Harvey Weinstein and the #metoo movement. Why did the victims keep silent for so many years before speaking out? Why did the movement begin? Is the movement really a movement or is it simply an avalanche of individual women’s stories? And how can we prevent instances of workplace sexual harassment in the future? The applicant’s essay should identify one public policy problem relating to the issue of workplace sexual harassment, propose a solution to that problem, and explain why the applicant believes the proposed solution will be effective. The applicant’s ability to think critically about a public policy concern. A U.S. phone number that the applicant can be reached at. Attach the essay portion of the application in a commonly accessible and readable file format such as either .doc, .docx, or .pdf. The winner will be announced by 11/30/2018. Scholarship recipients will receive the funds within 90 days of notification of award. This scholarship is applicable to ONE academic school year. By submitting a scholarship application for 2018-2019 academic year, the applicant automatically grants the Law Office of Yuriy Moshes, P.C. 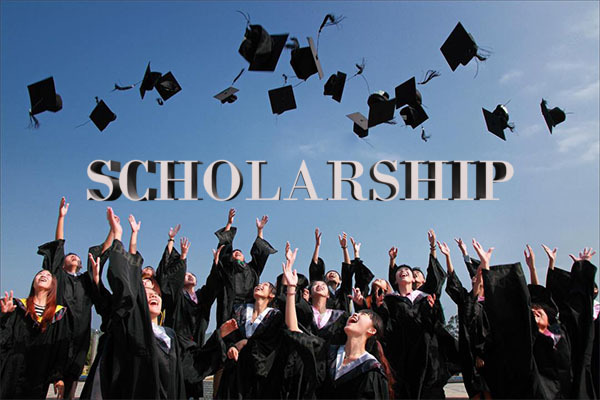 permission to post the applicant’s name, college, photo (if submitted), and essay on Law Office of Yuriy Moshes, P.C.’s website, blog or in other marketing materials or communications, regardless whether or not the candidate is awarded our scholarship. An application for our scholarship also grants the Law Office of Yuriy Moshes, P.C. permission to call and/or send the applicant written or electronic communications pertaining to his or her scholarship application. Photos and essays submitted by an applicant must be the original work of the applicant. Only one submission will be accepted per student, per academic year. Duplicate scholarship applications will be disqualified. All scholarship awards are non-renewable. By submitting an application for the Law Office of Yuriy Moshes, P.C. Scholarship, you certify that all the information you have is true and correct.